Earlier this year the University of Technology and Education (UTE) inaugurated a new distance learning (DL) classroom equipped with the latest technology in videoconferencing and collaboration software and hardware. This facility will allow UTE to connect with institutions of higher education around the world to create an interactive channel between faculty and students. These type of global interactions are aimed at increasing the competitiveness of UTE graduates by preparing them with crucial skills needed in today’s workforce; such as teamwork, problem solving, project planning, presentation skills and English language training. The DL classroom inaugural ceremony was presided by Minister Pham Vu Luan, Ministry of Education and Training (MoET); and by the U.S. Consul General for Ho Chi Minh City, the Honorable Ms. Rena Bitter; as well as other members from UTE and local MoET leadership. During April, May and June a total of five Moodle technical operations calls were scheduled. 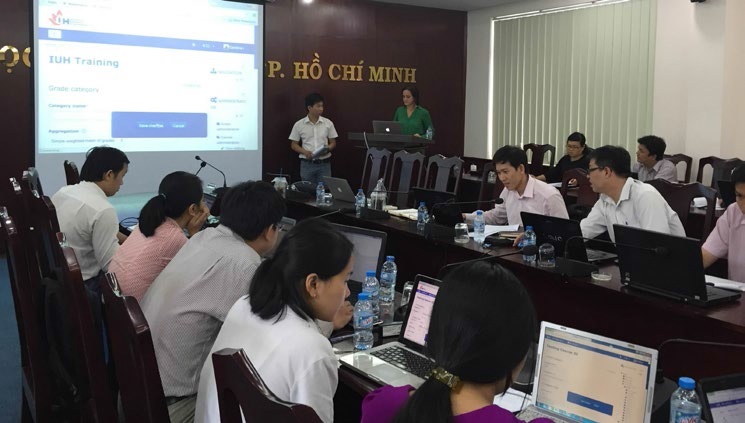 Moodle is an open-source learning platform and is currently being implemented by UTE, Can Tho University (CTU) and the Industrial University of Ho Chi Minh City (IUH). Technical operations calls serve to maintain online learning momentum and they provide a venue for HEEAP partner universities to communicate challenges and get answers to questions about their respective online learning implementations. Steve Rheinschmidt facilitates technical operations calls and they include individuals with Moodle technical expertise to answer technical questions. During the past quarter, 36 questions were addressed and documented. In June of 2015, Pearson conducted trainings and operational meetings at UTE, CTU and IUH. At UTE, Pearson trainer Carolina Romano was asked to give a 30-minute speech on digital learning, Moodle, her experience and her perspective on UTE’s progress as part of UTE's Digital Learning Workshop. 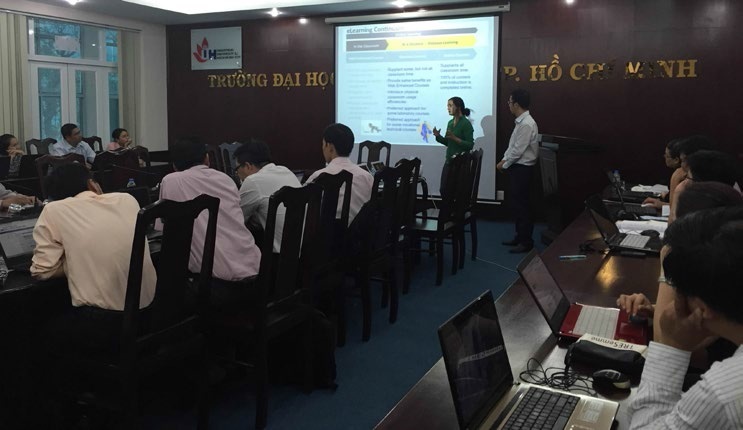 The CTU visit was primarily a discovery meeting and kick off a Moodle implementation analysis and discussion. During the visit, Pearson and ASU reviewed the readiness assessment document with CTU and discussed the current e-learning state. The team also discussed the current support model which includes training and operation calls for the Moodle environment. The IUH visit was focused on providing a Moodle demo and introduction to a body of lecturers. A total of 16 IUH lecturers were trained in the use of Moodle and content creation to deliver their coursework through the learning management system.